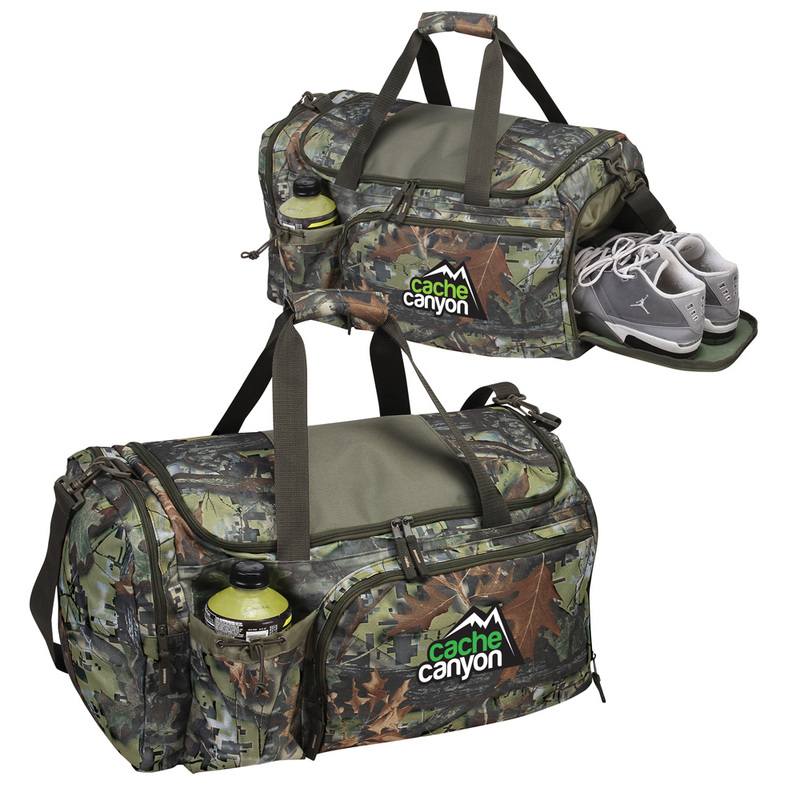 Gift your clients a reliable companion for their upcoming adventures by giving them the Camo Duffel Bag. It has a spacious main compartment to carry your cargo. A zip-pocket in front, an elastic pocket, a large zip-pocket with air vents for shoes or dirty clothing, and another large zip-pocket provide extra storage space for your belongings. The top features dual carry handles and a removable, padded shoulder strap. Imprint your company’s logo on the bag and give it away at trade fairs, carnivals, bag expos, malls, corporate and community events to increase your brand’s visibility.